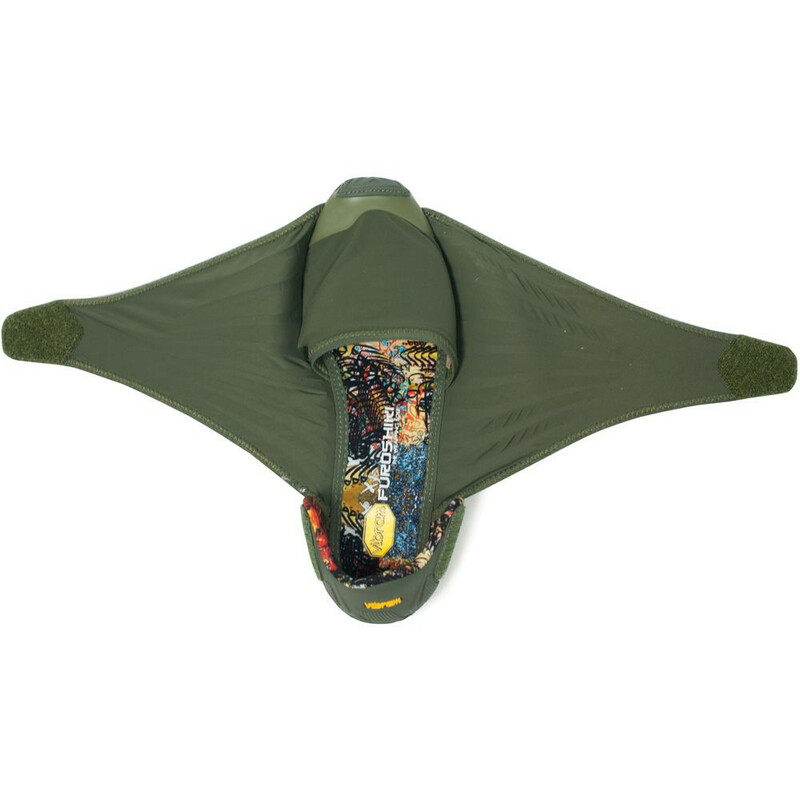 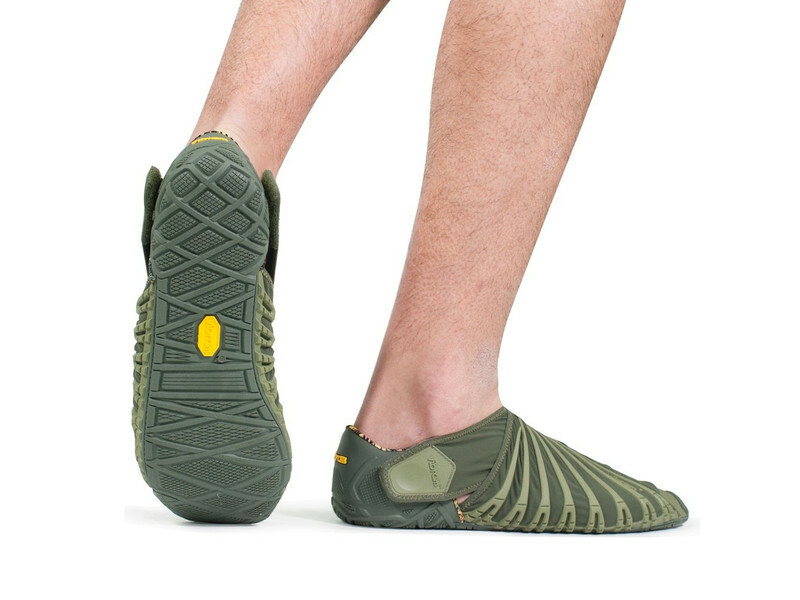 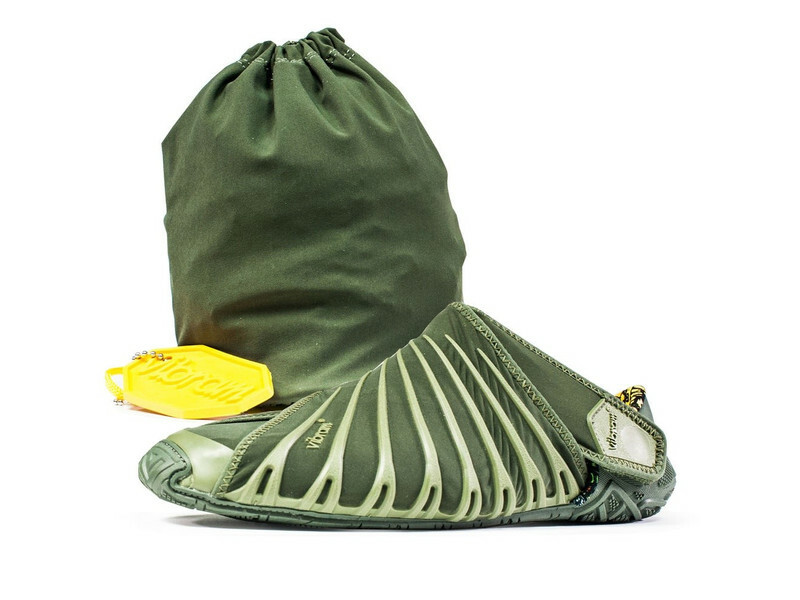 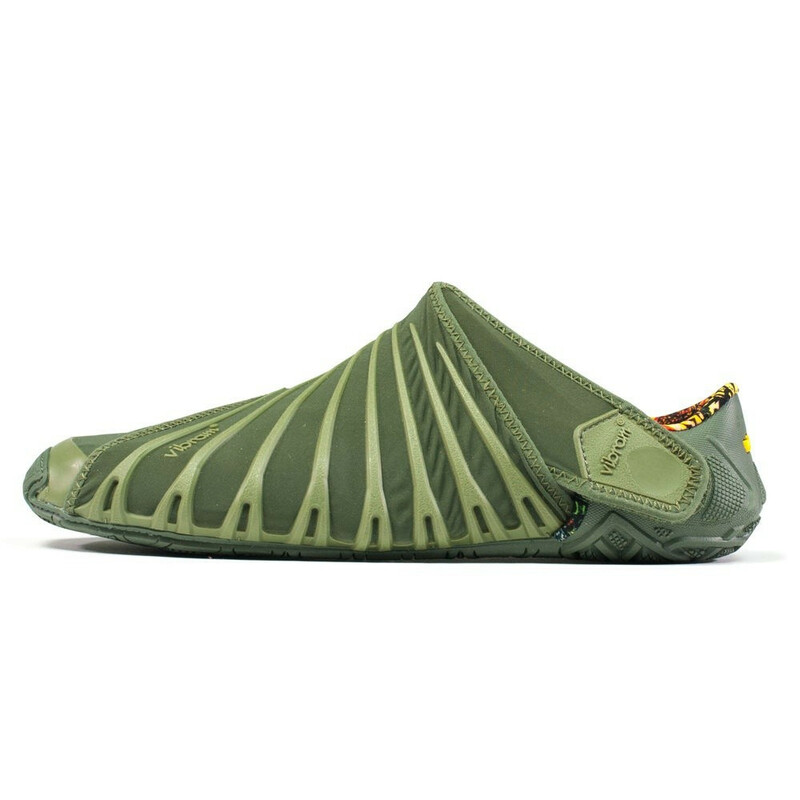 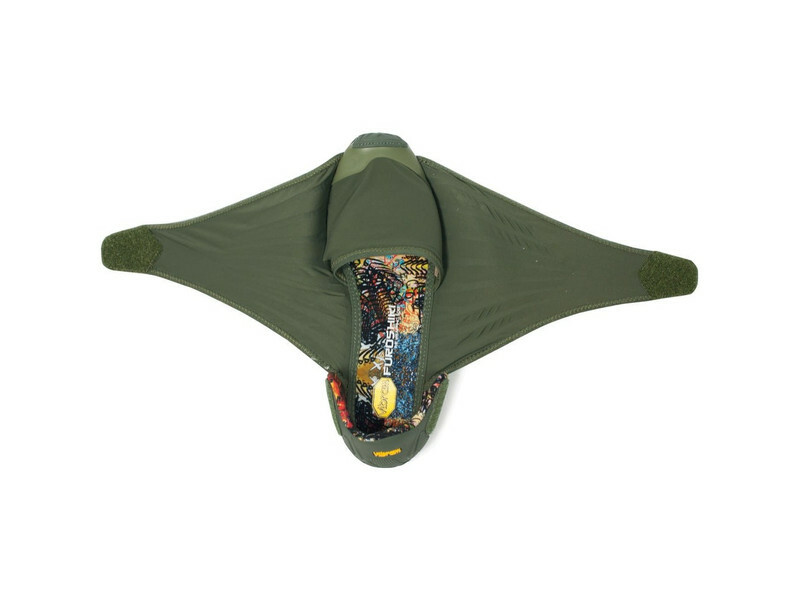 De olijf groene variant van de wikkelschoenen van Vibram, de Vibram Furoshiki Olive Men. 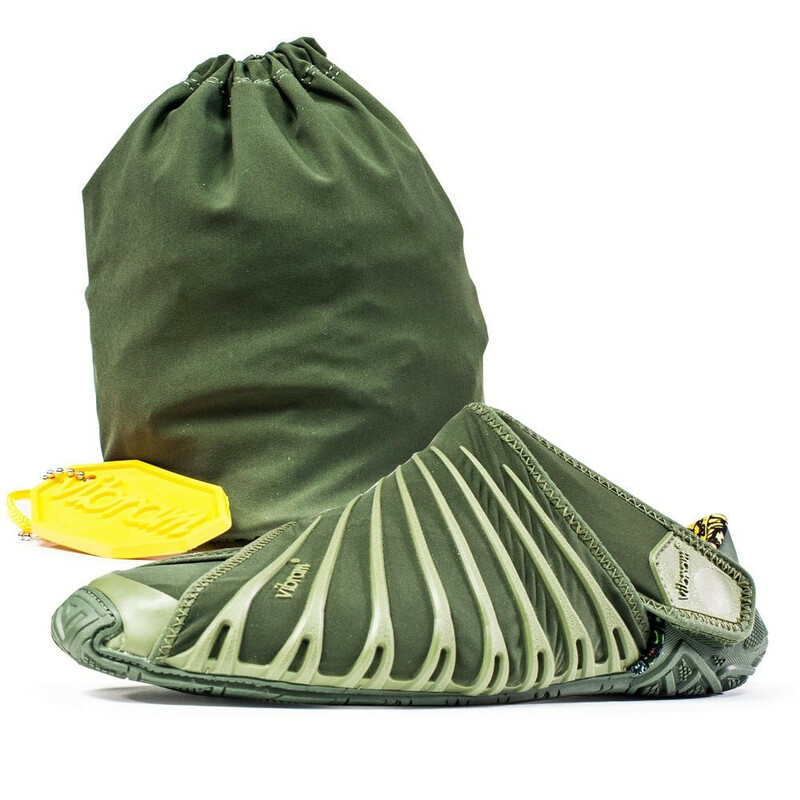 The concept for this type of footwear was derived from the Japanese custom of packaging items by wrapping them in cloth fabric. 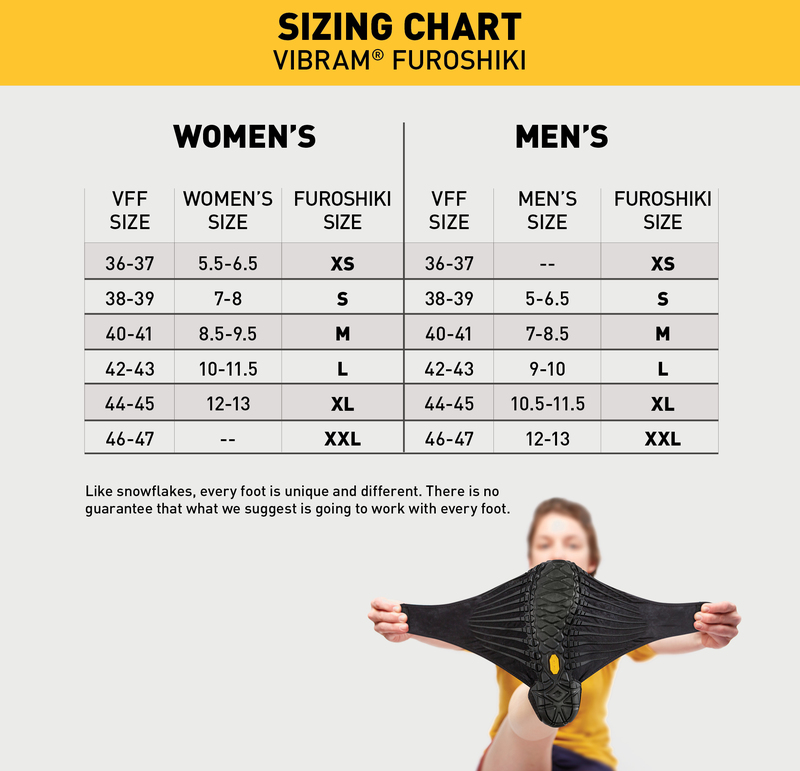 Furoshiki is the only sole on the market that wraps around the entire foot. 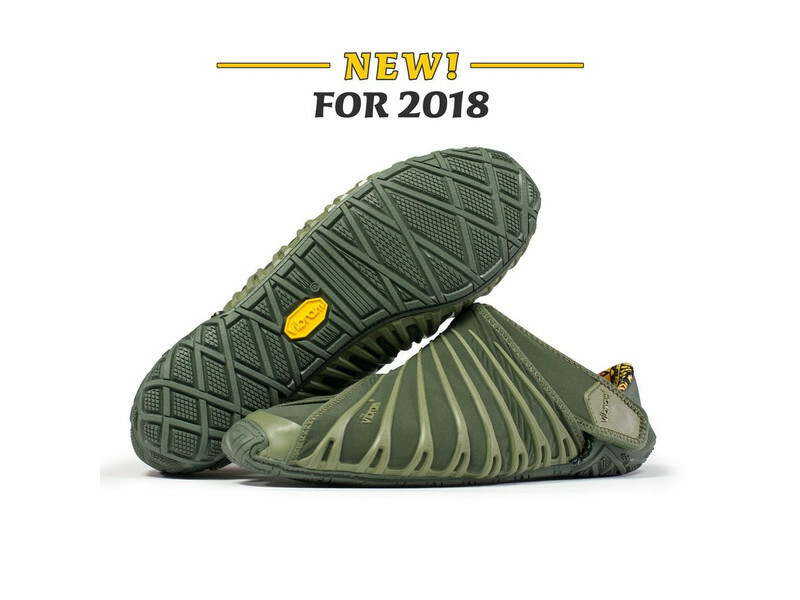 Because the upper is constructed with stretch fabric, it will anatomically fit nicely on any foot type and the hook and loop closure system allows for a quick, easy fit. 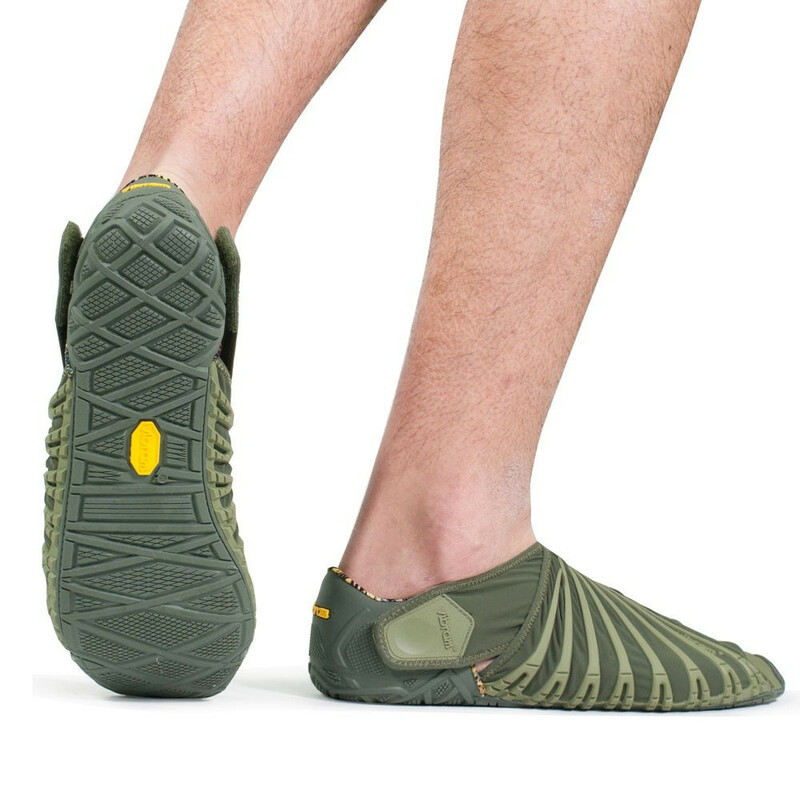 Powered by our revolutionary Vibram soling technology, Furoshiki provides comfort in any environment! 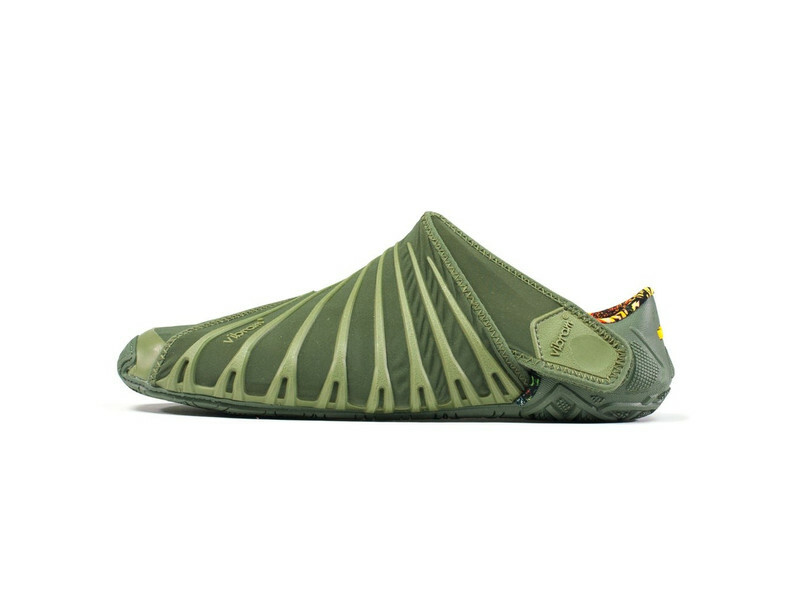 It also packs nicely for traveling and each pair comes equipped with its very own traveling case. 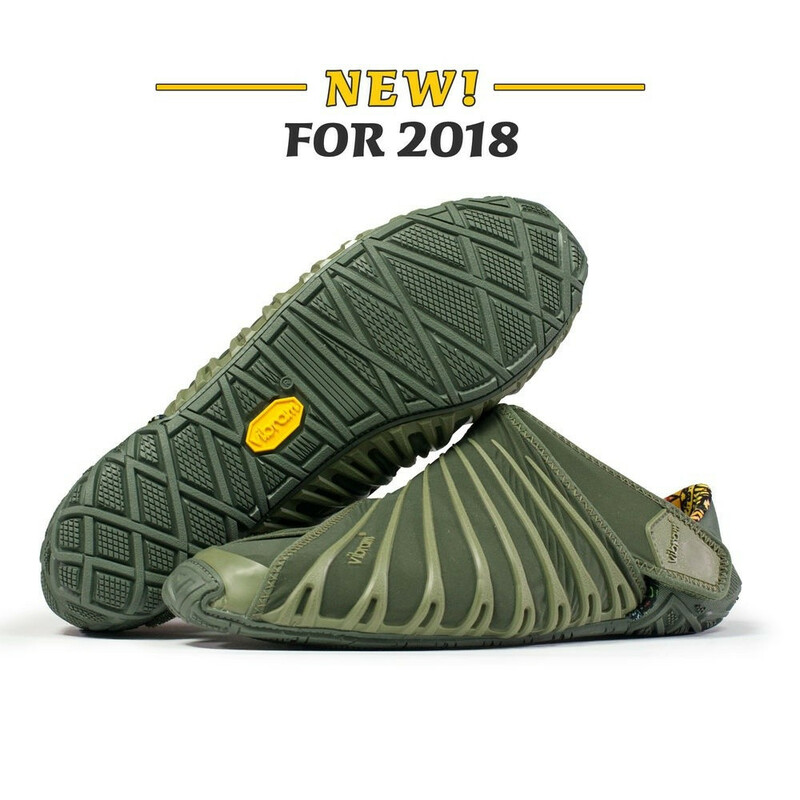 The ultimate travel footwear companion, offering protection, grip and comfort.